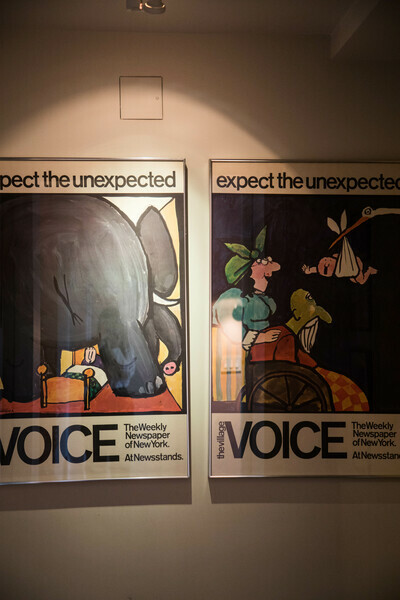 Edwin Fancher, BA Liberal Arts ’49 and MA Psychology ’51, could not have imagined that a serendipitous meeting with another New School student in the late 1940s would result in the founding of the legendary Village Voice newspaper. Fancher and his New School classmate Dan Wolf, along with the celebrated writer Norman Mailer, launched the Voice in 1955 with absolutely no experience in running a newspaper, establishing a publication that would influence culture and journalism in New York and beyond. Greenwich Village was the center of the literary universe in the 1940s and 1950s, and Fancher remembers the San Remo Café, on the corner of Bleecker and MacDougal Streets, as the focus of this literary world. Fancher, Wolf, and Mailer were all World War II vets who had faced combat and were deeply affected by their wartime experiences. Fancher served in the 10th Mountain Division’s ski troops in the Italian Alps. After the war, Fancher and Wolf enrolled at The New School and met while standing in line to register for classes. Fancher was a psychology student who took seminars with world-renowned psychoanalysts such as Erich Fromm, Karen Horney, and Ernst Kris (a founder of ego psychology). He particularly enjoyed studying with Alfred Schutz, a German University in Exile scholar who taught a class called Philosophy for Psychologists. 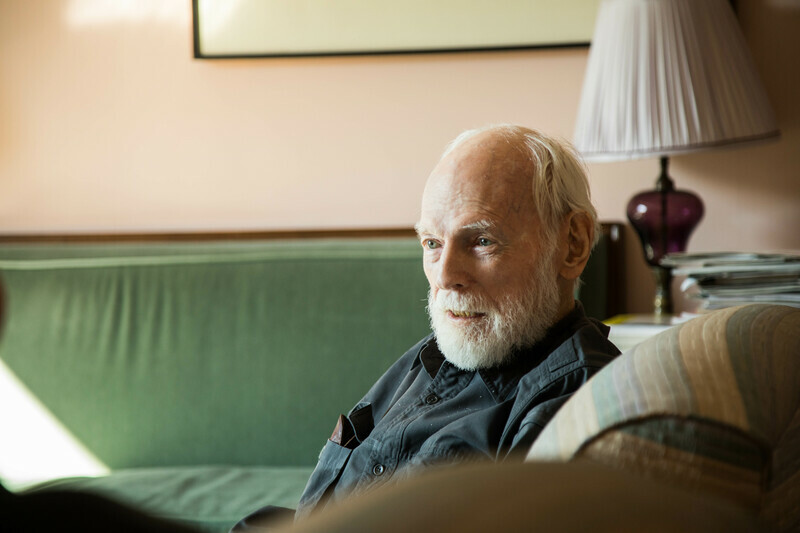 During his years at the Voice, Fancher continued training to become a psychoanalyst and began treating private patients in the evening. Fancher says that he and Wolf intended to bring the spirit of The New School to the Village Voice. Wolf became the editor in chief and Fancher the publisher. There was also a New School connection to Mailer. Wolf met Mailer through the noted French novelist Jean Malaquais, whose class Modern French Novel he was taking at The New School. Mailer’s contributions to the Voice included his famous name, a financial stake, and a weekly column, about which he and Wolf often fought bitterly. Fancher and Wolf wanted the Voice to be a publication in which unknown journalists and cartoonists could introduce their work. Jules Feiffer, who was then beginning his career as a cartoonist, came to the Voice office after being rejected by a number of New York publishers. “If you want them, you can have them for nothing, as long as you promise to publish one every week,” Fancher remembers Feiffer telling them about his voluminous collection of unpublished cartoons. In the decades to come, the Voice would establish a reputation as a true alternative to the city’s many traditional publications. During Fancher’s 19-year career at the Voice, the paper took bold stands supporting gay rights and civil liberties and was an early and vocal opponent of the Vietnam War. The Voice’s influential theater critic Jerry Tallmer created Off Broadway’s Obie Awards. In 1970, Fancher and Wolf sold their shares of the Voice to Carter Burden, a wealthy New York City Council member, for $3 million. They agreed to stay on in their roles for several more years but left the Voice when Burden sold the paper to New York magazine in 1974. Leaving the Voice allowed Fancher to finally work full-time as a psychoanalyst. He also served as president of the New York School for Psychoanalytic Psychotherapy and trained analysts at the New York Freudian Society (now called the Contemporary Freudian Society). Fancher retired from private practice five years ago, at the age of 90. “Psychoanalysis attempts to free people from inhibition in much the same way that the Village Voice was an attempt to free journalism from inhibition,” he says. Fancher remains active and is excited about The New School’s celebration of its Centennial.